CHECK is a facilities and operation centers inspection, auditing and operation readiness management solution that allow organizations to facilitate all the activities around automating the inspection and auditing processes and workflows, also to allow stakeholders to monitor and manage these centers readiness for operation in order to maintain and increase the quality of services being offered, proactively apply actions to mitigate the risk of service degradation or disruption and finally to continuously support the organization operation plans for improvements and expansions. 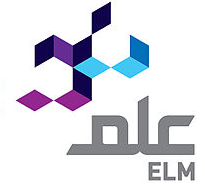 CHECK have been implemented in different enterprises like: STC (Saudi Telecom Company), ELM, Riyadh Airports and others. For demo requests and more information about CHECK, please contact us from the link below. Level 18, Faisaliah Tower King Fahed Highway, Olayah District, P.O Box 54995, Riyadh 11524 Kingdom of Saudi Arabia.